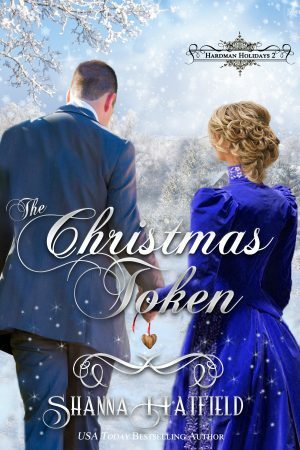 Determined to escape an unwelcome suitor, Ginny Granger flees to her brother’s home in Eastern Oregon for the holiday season. Returning to the community where she spent her childhood years, she plans to relax and enjoy a peaceful visit. Not expecting to encounter the boy she once loved, her exile proves to be anything but restful. “What would you know of love, Ginny? Hmm? What would you possibly know about love?” Blake asked, tossing the book onto her lap and turning his cold gaze on her in full force. Shocked beyond the ability to speak, Ginny sat looking up at him with her mouth half-open, trying to think what would make Blake act so strange, so angry. That’s when she noticed the flyers in his hand. Reaching up to take them, he slapped the stack of paper on the arm of her chair, making a startled whimper escape her lips. He looked, for all the world, like he wished he could have beaten her about the head with them. “What right do you have to go around town spreading rumors and ordering flyers? What right, Ginny?” Blake demanded, shoving the flyers in her face. “Then why did you make it sound like I’m nearly homeless? The way I heard it, you went all around town trying to drum up business so I wouldn’t starve this winter. Whether I need the work or not is none of your affair,” Blake said, yanking the twine off the flyers and throwing them in the air. As they fluttered down around Ginny, she swiped at the tears now rolling down her cheeks, sticking out her bottom lip in a pout that had charmed many a man, including Blake. “I’m sorry,” she whispered, trying to look contrite. Blake glared at her with narrowed eyes, his jaw tightly clenched. Leaning down, he braced his hands on either side of her against the arms of the chair, putting his face just inches away from her own. Jerking her head back, she had nowhere to go, trapped as she was between him and the chair. Watching her eyes widen with astonishment and a hint of fear, Blake almost calmed his tone, almost tamped down his anger. Bending so close he could see three different shades of blue in her beautiful eyes, he hardened his resolve and his heart, taking her proud chin firmly in his hand.